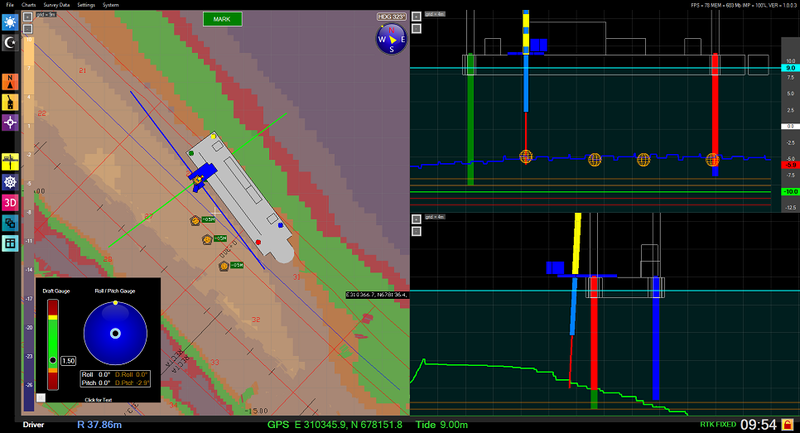 Foreshore Technology introduce Dredge Master Drill a real time drill monitoring system. Drill and mark complex drill patterns fast, accurately and safely. Each drill point is marked and protected with a proximity point to warn the operator if they are drilling to close to an existing charge. The system was initially created in conjunction with Takoma solutions for a drilling platform on board a backhoe dredger and is being used to increase the efficiency and safety of dredging drill operations. 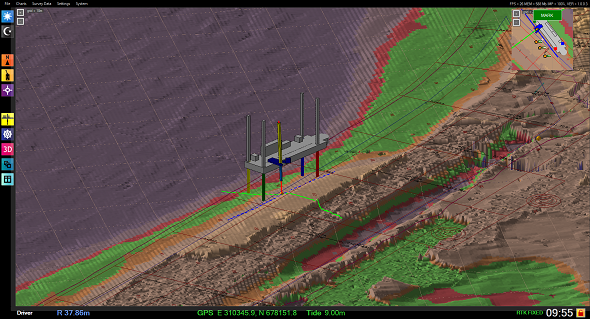 The complete system includes the Dredge Master Drill software, an industrial marine base computer, a control PLC unit, heavy duty environmentally sealed sensors, remote support software and web portal login. All of which combine to make one of the most advanced drill monitoring systems available today.